Earn up to 145 NewBonneville Bucks. 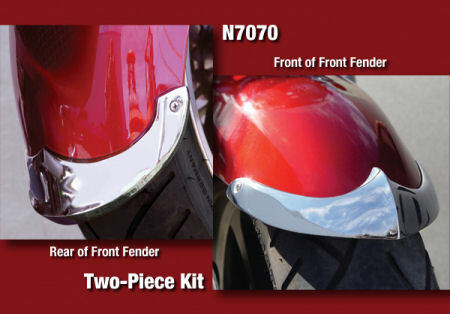 Add some elegance and chrome to your Rocket III fenders. This hallmark product of National Cycle, (our original legendary patented design from the ’40s) has been painstakingly refined for today’s cruisers. By casting the product, the shape and high crown details that distinguish our tips stand out. 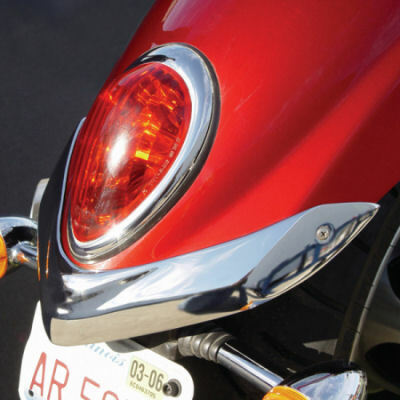 These tips have a jewel quality chrome finish with a show bike polish. 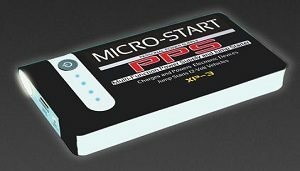 It will be hard to find an accessory that will add so much to your bike at such a reasonable cost. Stainless steel screw mount. 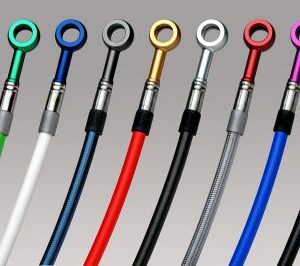 All fasteners and template provided. Fender must be drilled.